Dr. Charles Crutchfield speaks with New Beauty magazine about what these are all about in anti-aging beauty. Dr. Charles Crutchfield spots a dad's skin cancer during the son's routine acne appointment. 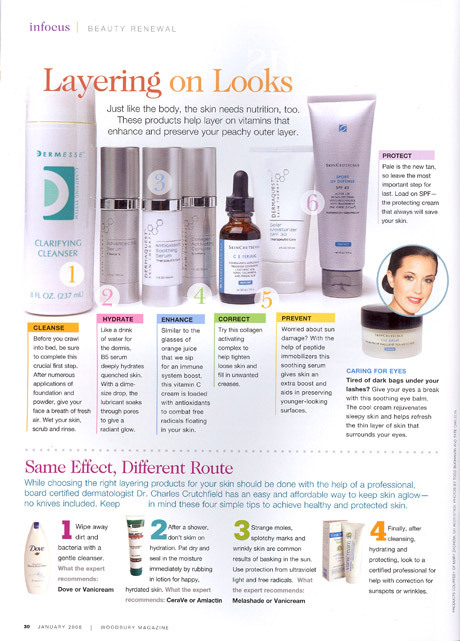 Dr. Crutchfield In Perfect Skin Protection Magazine Discussing Actinic Keratosis. Crutchfield Dermatology Now Accepts Apple Pay. Eagan Dermatologist, Dr. Crutchfield has once again been named a Top Doctor in Mpls St Paul Magazine. Dr. Crutchfield's expertise highlighted online in his "Doctor's Advice for Your Good Health" on Spokesman Recorder. Dr. Crutchfield answers a few common skin care related questions with Mpls/St. Paul magazine. Dr. Crutchfield speaks with The Weather Channel discussing the dangers of tanning on a person's skin. Dermatologist Charles Crutchfield III, MD featured in Huffington Post article as skin care expert. Dr. Crutchfield selected as "Top Doctor For Women, 2014" as reported in Minnesota Monthly magazine. He is the only dermatologist to be selected every year since the beginning of the survey! Crutchfield Dermatology named one of the "Top 100 Companies to Work For" by Minnesota Business magazine. Dr. Crutchfield Named a Super Doctor of Eagan, Minnesota. Dr. Crutchfield in Minneapolis St. Paul Magazine discussing pediatric skin protection and care. Dr. Crutchfield featured in New Beauty magazine discussing sunscreens and treatments for hyper pigmentation. Dr. Crutchfield featured in Vitiligo article "People with Vitiligo Finding Hope." Dr. Crutchfield featured on Tom Joyner Radio show for Psoriasis awareness month. Dr. Crutchfield in Modern Aesthetics Discussing Safe & Ethical Aesthetic Medicine. Dr. Crutchfield in the Wall Street Journal talking about Skin Cancer screenings. Dr. Crutchfield speaks about sun care tips for kids in daycare and pre-school. Cosmetic Dermatologist Dr. Crutchfield in New Beauty Magazine speaking about his philosophy on skin care and medical treatment. Dr. Crutchfield discusses leading edge aesthetic dermatology treatments. Congratulations! Crutchfield Dermatology made Minnesota Business magazine’s 100 Best Companies to Work For! This notable honour celebrates organizations that are setting the standard for employee happiness. Dr. Crutchfield speaks with Web Talk Radio about the Fat Lose Treatment Lippodissolve. Dr. Crutchfield featured in Black Hair magazine talking best skin care practices. Dr. Crutchfield receives Minority Affairs Award. Dr. Crutchfield featured in article discussing the treatment of razor bumps (pseudofolliculitis barbae). Dr. Crutchfield featured on Fox News discussing dangers of indoor tanning. Crutchfield Dermatology Hosts the University of Minnesota Medical Students interested in Dermatology (DIG). Dr. Crutchfield safe texting petition to disable texting while driving, discussed on FOX tv news. Dr. Crutchfield selected as a ‘Top Dermatologist for Women’ by Minnesota Monthly magazine. Dr. Crutchfield featured on CNN. “ 7 foods to Fortify your body for Winter. Crutchfield Dermatology Reports NO use, EVER, of Steroids, Cardiac or Ophthalmologic Medications Manufactured by New England Compounding Pharmacy. MedEsthetics Magazine Feature Cover Story - Dr. Charles Crutchfield, The Next Generation. Dr. Crutchfield's article "Skin Cancer: Let's Halt This Rising Rate" featured in the Star Tribune. Web Talk Radio Speaks with Dr. Crutchfield During the "Inside Cosmetic Surgery" Program About Coolsculpting. Dr. Crutchfield featured in Dermatology Times article Discussing "Optimise outcomes in patients with skin of color by tailoring therapies." Crutchfield Dermatology featured discussing Selphyl skin treatments in Sept. 2012 Minneapolis St. Paul Magazine. Dr. Crutchfield featured in Sun Protection Article. Dr. Crutchfield featured in article on skin care in Aging Well Magazine. Minnesota Medicine Names Dr. Crutchfield One of the 100 Most Influential Health Care Leaders in the State of Minnesota. Gianna wins the crown! She thanks Dr. Crutchfield for helping with her award-winning beautiful beauty queen skin. InStyle Magazine Talks about the very best body lotions with Dr. Charles Crutchfield III, M.D. Dr. Crutchfield Authors Children’s Book About Sun Protection – Little Charles Hits a Home Run! See the video: Dr. Crutchfield on CBS being interviewed about "Freezing Away Fat with Coolsculpting"
Crutchfield Dermatology has been featured in D&B’s "200 Million Businesses campaign"
Dr. Crutchfield interviewed on CBS "Doctors Concerned Over Lack of Regulation At Medusas"
Dr. Crutchfield featured on Cosmetic Surgery Radio discussing Platelet Rich Plasma treatments for Wrinkle Reduction of the face. African-American dermatologist Dr. Charles Crutchfield, III credits parents with his success in life and Eagan dermatology business. Crutchfield Dermatology proudly celebrates 10 year anniversary. 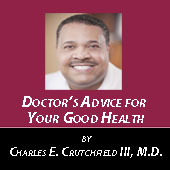 Dr. Crutchfield named one of America’s Top Doctors in the Castle Connolly 11th edition 2012. The Benefit: “Raspberries are ultra-rich in antioxidant properties and help repair and rejuvenate the skin," said Dr. Charles E. Crutchfield III, MD, of Crutchfield Dermatology in Eagan, MN. The Recipe: Raspberry, White Chocolate and Blueberry Tart by Zoë Francois of Zoë Bakes. Crutchfield Dermatology was selected by Minneapolis St. Paul magazine Top Doc issue for 2011-2012. Pharmaceutical Representatives - Are They Worthwhile? Crutchfield Dermatology is the very first dermatologist in the United States to use DysportTM wrinkle fighter! 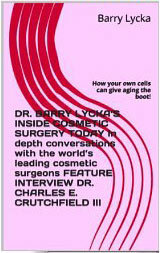 Dr. Crutchfield featured on Inside Cosmetic Surgery Today on WebTalkRadio.net discussing CoolSculpting; the newest way to get rid of unwanted fat with host Dr. Barry Lycka. Dr. Crutchfield featured in Minneapolis Star Tribune newspaper discussing tips on treating sunburn. Dr. Crutchfield featured in Family Circle discussing skin care tips that help your skin at any age. Buzzy! Now Offered for Children at Crutchfield Dermatology in Eagan. Dr. Crutchfield featured in New Beauty Magazine (Summer 2011 page 100) discussing the treatment of hyper pigmentation using topical agents containing hydroquinone and AFT laser-like treatments. Dr. Crutchfield named one of the “Top 21 Back Doctors in America” by the Atlanta Post. Dr. Crutchfield featured in Minnesota Monthly magazine discussing sun-safe tips. Crutchfield Dermatology attends the wonderful circus show Ovo, by Cirque Du Soleil. Dr. Crutchfield on FM 107 radio, talking with the pop-culture queens Lori & Julia. “Dr. Charles E. Crutchfield III, M.D., Dermatologist, Named to Castle Connolly's 2011 Top Doctor List"
Dr. Crutchfield featured in Family Circle magazine discussing skin care healthy tips. Dr. Crutchfield discusses skin care, wrinkle treatments and CoolSculpting Zeltiq on the Lori and Julia Show MyTalk FM107. Dr. Crutchfield featured in New Beauty Magazine discussing the best skin care treatments and pore size, (pages 100 & 101). Crutchfield Dermatology and CoolSculpting to get rid of unwanted fat featured on ABC Twin Cities Live TV. Dr. Crutchfield featured contributor to Web MD discussing acne in teen girls. Dr. Crutchfield featured contributor to InStyle's Best Beauty Buys edition. US Commerce Association honours Dr. Charles E. Crutchfield with Best of St. Paul Award in the Skin Treatments category. Dr. Crutchfield on FM107 discussing Dysport, the new wrinkle fighter that just received FDA approval and is now available in the United States. Dr. Crutchfield selected as one of the Top Dermatologists for Women in a survey of 10,000 physicians, nurses, and health care providers published in Minnesota Monthly Magazine, May 2010. Dr. Crutchfield has been selected every year since the inception of the survey and is the only male dermatologist to receive the honour every year. Dr. Crutchfield discusses how antiperspirants and deodorants work on WCCO/CBS Television. Dr. Crutchfield contributor to WebMD discussing how to clean overly dry skin. Dr. Crutchfield selected as one of the "Best Doctors in America". Dr. Crutchfield talks with Spokesman Recorder about drug free treatments for chronic skin care concerns. Restylane, the new cosmetic dermatology treatment that reduces the appearance of wrinkles in patients. “Crutchfield Dermatology gets “A” Grade on Angie’s List for Medical Practices, 2010"
Dr. Crutchfield recognized for being Top Doctor in Minneapolis St. Paul Magazine survey for 8 years in a row. Speaks on camera about his practice. 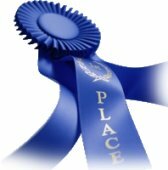 Crutchfield Dermatology recognized by Aesthetic Practice Association for providing certified aesthetic consultant practice to his staff. Crutchfield Dermatology received this prestigious award from Black Twin Cities. Dr. Crutchfield featured on Skin-Care news.com discussing 10 skin care secrets. Dr. Crutchfield discussing Acne in Heart and Soul Magazine. Dr. Crutchfield Selected as One of "America's Top Doctors 2010" by Castle Connolly. Dr. Crutchfield in Better Homes and Gardens magazine discussing Hyperhidrosis treatments. "Comfort Zone" radio show, featuring Dr. Crutchfield discussing Michael Jackson’s skin disease Vitiligo, wins honourable mention award from the Oklahoma Society of Professional Journalists. Dr. Crutchfield featured in Consumer Reports “Shop Smart” magazine discussing treatments for scars. 9 out of 10 patients report less pain with Restylane Lidocaine treatments. Offered by renowned cosmetic dermatologist Dr. Charles Crutchfield, III, M.D. Dr. Crutchfield featured in Good Housekeeping article "5 Beauty Tips and Secrets Every Woman Should Know." Problems Arising With Your Skin Because of Exercise? Dr. Crutchfield featured in Shear Balance discussing skin care problems that are associated with exercise. Dr. Crutchfield featured in article discussing beauty as it relates to your personality. With tips on skin care and trends. Dr. Crutchfield talks time management, It's About Time to Maximize Your Time, Physician's Money Digest, June 2010. Dr. Charles Crutchfield featured on Divine Caroline discussing: Rosacea, Acne Treatments, Hidradenitis Suppurativa, Athlete's Foot, Plantar Warts, Eczema, Bacterial Folliculitis, & Impetigo. Crutchfield Dermatology was selected as one of the "Best Dermatology Clinics for Women", in a survey of 5,000 physicians and nurses, published by Minnesota Monthly Magazine in the May, 2009 issue. Dr. Crutchfield is the only male dermatologist to have been selected every year of the yearly survey since the survey's inception in 2006. Dr. Crutchfield featured in Cosmetic Dermatology Article discussing treatments for younger looking skin. Dr. Crutchfield featured in “Healthcare Professionals Live” article. Dr. Crutchfield Featured in eHow.com article on "How to even African-American skin tone naturally." 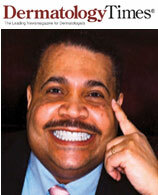 Dr. Crutchfield Featured in Dermatology Times Discussing Vitiligo. Dr. Crutchfield serves as an expert consultant for article "Protecting yourself from summer health hazards" in this month's Redbook magazine. Crutchfield Dermatology was selected by Minneapolis St Paul Magazine Top Doc issue for 2009 the 6th year in a row. Crutchfield Dermatology honoured for supporting military staff member deployed overseas. Dr. Crutchfield recognized in Metro Doctors For his interview on CNN with Dr. Sanjay Gupta discussing skin care and sun protection. Dr. Crutchfield featured discussing skin care products for women. Dr. Crutchfield featured on "Fairview On Call" hosted by Dr. Gretchen Phillips, Sunday December 28, AM 830 Radio. Dr. Crutchfield discussed Cosmetic Dermatology treatments including PIXEL laser treatments for acne scars, new acne treatments, Botox Cosmetic and Restylane for beautiful lips. Dr. Crutchfield featured on KARE 11 Saturday Morning discussing the treatment of dry itchy winter skin, with Belinda Jensen. Dr. Crutchfield Healthcare Scoop on Sun Safety "Unfortunately, skin cancer prevention is widely misunderstood," said Charles Crutchfield, MD, of Crutchfield Dermatology in Eagan, Minn. Summer has begun, and sunscreen is selling off the shelves as families prepare for Memorial Day. Going beyond sunscreen, individuals nationwide are talking to their doctors about keeping their families "sun safe." Crutchfield Dermatology receives the Patriotic Employer Award from the National Committee for the Employer Support of the Guard and Reserve. Crutchfield Dermatology was named the Patriotic Employer for the development of policies that made it easier for employees to participate in the National Guard and Reserve and supporting staff members who were involved with the Army National Guard and Reserve. Dr. Crutchfield recognized in Metro Doctors for receiving the Employer Patriotic Award. Dr. Crutchfield featured contributor for skin care products. Dr. Crutchfield in "Sister to Sister" magazine discussing skin care tips. Dr. Crutchfield featured in American Medical News discussing Crutchfield Dermatology's consistent policy with pharmaceutical companies. Dr. Crutchfield featured on 'Mythbuster Beauty' discussing skin cancer, sun protection, and skin of color. Dr. Crutchfield featured in Skin and Allergy News Commentary discussing savvy cosmetic marketing techniques (Trojan Horse Marketing). Dr. Crutchfield featured dermatologist in ‘Winter Skin Care’ article in the “Best of the Twin Cities” issue of Minneapolis St. Paul Magazine. Dr. Crutchfield featured in article "Patient-Centered Approach Turns Waiting Rooms into Reception Areas" in Physician's Financial News article. Dr. Crutchfield featured on WCCO Radio with Denny Long discussing "All Things About Your Skin," March 2009. Dr. Crutchfield is a featured guest on KTOK radio show discussing skin care with Mi-Ling Stone. Dr. Crutchfield featured in "Experience Life Magazine" for Lifetime fitness discussing skin care issues. Dr. Crutchfield featured in Spokesman Recorder Newspaper discussing winter skin care. Dr. Crutchfield lectures the University of Minnesota Dermatology Residents and Medical Students on: Acne treatments, Psoriasis treatments, Cosmetic Dermatology, Vitiligo treatments, Ethnic Skin, and Cosmetic Dermatology. August, 2008. Dr. Crutchfield presents dermatological cases and isotretinoin (Accutane) coding the American Academy of Professional Coders; East –Metro Chapter, February 21, 2009 at Woodwinds Hospital. Dr. Crutchfield selected as one of the “Top Dermatologists in America” by the Consumer’s Research Council of America. Dr. Crutchfield serves as Consulting Author on children’s book on skin and skin-care. "Dermatology Cases: Common and Challenging" at the National Telehealth Conference, September 2008. Dr. Crutchfield featured in the Star Tribune discussing skin care, Botox, laser skin and Javani treatments. Dr. Crutchfield selected as Top Dermatologist for Women in Minnesota, again, for 2008, by Minnesota Monthly magazine. Mending the Heartbreak of Psoriasis by Charles E. Crutchfield III, M.D. Practical Dermatology article discusses the cosmetic dermatology industry and running a practice with patient satisfaction in mind. Dr Crutchfield honoured with award by University of Minnesota Medical School and the Student National Medical Association for his educational contributions. Dr. Crutchfield featured in “Men’s Health” discussing sunscreens. Dr. Crutchfield featured on WCCO TV discussing sun protection and lip skin cancer. Crutchfield Dermatology receives 2008 Best of St. Paul award. At Crutchfield Dermatology we are very proud of the fact that we are the official dermatologist for Kaylee Unverzagt, Miss Minnesota USA 2008 and Miss USA 2008 candidate. Dr. Crutchfield talks to WCCO Radio about FDA it's national Botox investigation. Nothing to do with Crutchfield Dermatology, and Dr. Crutchfield explains about the safety of the Botox he uses in his Eagan practice. Dr. Crutchfield featured contributor for skin care products, “In Style Magazine"
Dr. Crutchfield featured in national Baby Talk magazine discussing sun protection for babies and children. Crutchfield Dermatology wins 2008 Apex "Awards of Excellence" for Web site! Dr. Crutchfield featured speaker at the Minnesota Advanced Practice RN Conference speaking about “Common Dermatological Conditions and Treatments” April 11, 2008. Dr. Charles Crutchfield featured cover story for M.D. news, profiling Crutchfield Dermatology and the wonderful dermatology practice in Eagan, MN. Dr. Crutchfield featured speaker at the Minnesota Academy of Physician Assistants speaking about “Current Dermatological Treatments” April 5, 2008. Dr. Charles Crutchfield featured in Mpls St. Paul Magazine for skin care treatment. Dr. Crutchfield shares about how common poison ivy is in the frigid winter months, and what to do about it in Retail Clinician. Lori and Julia of FM 107 endorse Dr. Crutchfield Cosmetic treatments of Botox Cosmetic, Restylane and PIXEL laser. How Does Acne Get Under Our Skin? WCCO News' Amelia Santaniello talks with Dr. Crutchfield about acne's roots. Dr. Crutchfield answers the question of just what is the gold standard of hair removal? In depth explanation of what causes the rash of Poison Ivy. Includes home remedies, to over-the-counter rash treatments to soothe poison ivy. As well as cautionary poison ivy treatments to avoid. Dr. Charles Crutchfield III, M.D. featured in Diane Iron's book "The World's Best Kept Beauty Secrets Revealed." See the 5 Beauty Secrets Every Woman Should Know. “World Wrestling Magazine” spoke to Dr. Charles E. Crutchfield III, M.D. about what exactly causes acne and where that whole "pizza face" statement comes from. Dr. Charles Crutchfield speaks with Practical Dermatology about the state of the economy for cosmetic dermatologists and how this relates to private dermatology practices. From acne, to puffy under-eyes, this article by Dr. Crutchfield offers some much needed practical advice. Dr. Crutchfield chosen as the Contributing editor. Congratulations! Dr. Crutchfield speaks with Unique Opportunities in Medicine about putting up boundaries as a physician with friends and family. Macy's premiere issue of M Magazine asks Charles E. Crutchfield III, M.D. questions about anti-aging products and skin care. DermaNetwork.org Announces Addition to Medical Board of Advisors Charles E. Crutchfield, III, M.D. to Join Panel. All about adult onset acne and treatments that are available for this condition. Healthcare Star Charles E. Crutchfield III, M.D. All about Javani skin care moisturizer and treatments. Charles E. Crutchfield II, M.D. speaks with Physicians' Financial News about the cost of starting up a dermatology clinic. Dr. Crutchfield honoured as the singular ‘Physician Health Care Hero’ by Twin Cities Business and Medica for ‘Outstanding Contributions to the Quality of Healthcare in Minnesota. Ways to work with the skin that your body naturally has- in this case, oily, shiny skin. Crutchfield Dermatology Sponsors Psoriasis Movie Premier “My Skin is on Fire”, October 6, 2007. Dr. Crutchfield featured on Fox TV News Phoenix discussing circumcision in male children. Dr. Crutchfield featured in Carleton College Alumni magazine article "True Calling." Dr. Crutchfield featured on WCCO 830 Radio, “Fairview On Call Health Program” with Dr. Gretchen Phillips, June 15, 2007. Talking skin care, Rosacea, acne, and more. Dr. Crutchfield gives lecture “Common Acute Dermatology Problems and Solutions” to the nursing staff of Minnesota Minute Clinics, September 26, 2009. Dr. Crutchfield gives lecture to the University of Minnesota Dermatology Residents on ‘Psoriasis: Cause and Current Treatment Approaches’ October 31, 2007. Dr. Crutchfield shares 4 beauty tips with Lake Minnetonka Magazine. Dr. Crutchfield contributing doctor in the April 2007 issue. Dr. Crutchfield on WCCO news interviewed for his always being named a "Top Doc" in Mpls/St. Paul magazine. Dr. Crutchfield featured on the John Hines Show, 100.3 FM, KTLK Radio discussing “Melanoma and Skin Cancer Awareness Month” May, 2007. Dr. Crutchfield shares 4 beauty tips with Plymouth Magazine. Charles Crutchfield writes for Practical Dermatology magazine. Dr. Crutchfield featured in "My Family Doctor" magazine as expert dermatologist for skin care concerns, showing a trivia of connecting a rash image to the right medical diagnosis. Dr. Crutchfield serves as mentor for “Minnesota’s Future Doctors Program”, University of Minnesota Medical School 2007. Dr. Crutchfield featured in Fox News story on the treatment of cellulite. Dr. Crutchfield featured in Family Doctor magazine discussing skin care treatments and common skin concerns. WCCO - Which Sunscreens Are The Best? Dr. Crutchfield featured on WCCO (CBS) Television News’s “Good Question” by Ben Tracy discussing Sunscreen and Sun Protection. Good Housekeeping magazine includes Dr. Crutchfield in their 5 Beauty Tips & Secrets article. Dr. Crutchfield featured on WCCO Television on the I-Team report evaluating laser-hair treatment centers. Dr. Crutchfield pens an aritcle in Practical Dermatology addressing ethics in practice management & protecting your patients & practice from Pharmaceutical companies. Dr. Crutchfield featured in Practical Dermatology as expert cosmetic dermatologist in article on “Tips for Cosmetic Dermatologists”, discussing Botox Cosmetic, Restylane, and the new Pixel laser. April 2007, page 37. Crutchfield Dermatology ranked again as the #1 Dermatology clinic for 2006 for Quality Fairview Physician Associates just released the results of the patient surveys that assessed "patient satisfaction with the quality of service received" at 116 of their participating clinics. We are very honored to announce that Crutchfield Dermatology ranked #1 of the 11 Dermatology offices in the survey, and ranked #1 of all participating clinics with respect to the level of quality care received by patients. WebMD features Dr. Crutchfield in an article about Acne Treatments That Work. Dr. Crutchfield, published letter with physician colleagues in Sun Newspaper, that recognizes new “Freedom to Breathe” act. Dr. Crutchfield featured speaker at the Minnesota Nurses Association, Third District conference: “Clinical Management of Major Medical Conditions; Common Dermatologic Challenges and Current Therapeutic Pearls”, Bloomington, Minnesota, March 30, 2007. Dr. Crutchfield featured in Minneapolis St. Paul magazine offering great skin care tips in the Smart Beauty section, February 2007. Dr. Crutchfield gives international dermatology lectures in Puerto Vallarta Mexico, March 8th and 9th, 2007 for the Winter Educational Conference of the Ramsey Medical Society. Crutchfield Dermatology welcomes Juvederm Ultra and Juvederm Ultra Plus, the latest tools in the war against facial wrinkles and facial scars. Look at the skin condition images and see if you can figure out what the issue is that is going on. Crutchfield featured in Web MD Article on oily skin solutions. Dr. Charles Crutchfield speaks with the Chicago Tribune about warts and their removal process. Dr. Crutchfield selected as an 'Expert Contributor' for Logical Images, a software company that has an expanding database of photographic images to assist physicians in emergency rooms, hospitals, and clinics throughout the world to make more accurate diagnoses from visual presentations of patients utilizing a program called VisualDx. Dr. Crutchfield gives invited talk "Psoriasis; Cause and Treatment" at the Eagan Community Center, November 1, 2006. There was a record attendance of 162 people! Dr. Crutchfield warns other physicians about pharmaceutical company “Trojan Horse” marketing techniques. Crutchfield Dermatology sponsors scholarships for pre-medical students at Carleton College attending pre-medical student forum at the University of Minnesota” In January of 2007, Crutchfield Dermatology provided 18 scholarships for premedical students (from Carleton College, Northfield, Minnesota) to attend a 2 day pre-medical forum on “preparing and applying to medical school” at the University of Minnesota Medical School sponsored by the Student National Medical Association in Minneapolis, Minnesota. WebMD features Dr. Crutchfield in an article about Top Teen Skin Problems – and How To Solve Them. Dr. Crutchfield and Wife Laurie featured in Minneapolis St. Paul Magazine photo shoot at the Gala Event for Top Doctors at the Walker Art Center. Dr. Crutchfield featured in “Leader Health Magazine” article discussing psoriasis, acne, moles, eczema and dermatitis. Dr. Crutchfield gives talks at the CME Corporation Primary Care Update Conference, Water Park of America, Bloomington Minnesota, February 17, 2007. Talk titles: 1. Cutaneous infections 2. Cutaneous manifestations of internal disorder and disease. "WiFi and Net Surfing at Crutchfield Dermatology for patients featured in Health and Data Management"
Crutchfield Dermatology receives a 2006 "Business Excellence Award" by the Northern Dakota Chamber of Commerce"
Dr. Crutchfield Delivers Minnehaha Academy Commencement Address and Receives Award Dr. Crutchfield gave the commencement address for Minnehaha Academy High School on June 4, 2006. The graduation was held at Bethal University auditorium. His talk was on “The Secret of Success”. His 6 year old daughter Olivia also participated, on stage, by giving the graduates a gift from Crutchfield Dermatology. Dr. Crutchfield was also given the Distinguished Alumnus Award at the event. Dr. Crutchfield was a member of the 1978 graduating class of Minnehaha Academy. Despite the rise in cancer cases among young adults, they choose to burn. Charles Crutchfield III, M.D. shares some insight into the dangers of Sun exposure with the Pioneer Press. Experts, including Charles Crutchfiled, offer tips on preventing embarrassing problems that can derail a promising relationship. Minneapolis St. Paul Magazine talks with Dr. Crutchfield about the cosmetic dermatology treatments that are being sought out by men receiving them- Botox as one example. Dr. Crutchfield lectures at the University of Minnesota Primary Care Update Program on "Common Dermatologic Challenges and Current Therapeutic Approaches". May 2006. Dr. Crutchfield answers caller's dermatology questions. Dr. Crutchfield has featured article in Practical Dermatology on "Marketing A Medical Practice"
Dr. Crutchfield receives "Gold Award" for his expertise and experience with BOTOX® Cosmetic. Dr. Crutchfield featured on the Pat Miles WCCO Radio show discussing the Javani new Ultra moisturizing medical microdermabrasion and facial. WCCO television: Dr. Crutchfield’s treatment offers quick fix for facial scars. Dr. Crutchfield was an invited speaker for the 30th Annual 'Skin Disease Education Foundation' Hawaii Dermatology Conference at Grand Hyatt Kauai Resort & Spa, February of 2006. Dr. Crutchfield's lecture was "Running a Successful Dermatology/Medical Practice Practice". The acne medication isn't linked to depression study finds. 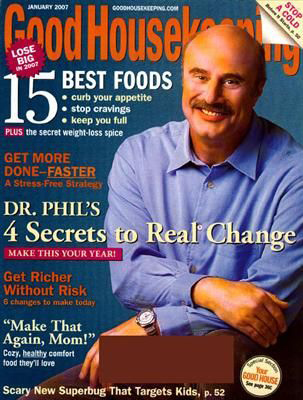 Dr. Crutchfield's "Ultimate Guide to Wrinkles" article as featured in My Family Doctor Magazine, Spring 2006. Dr. Crutchfield featured in Minneapolis St. Paul magazine discussing Botox, Restylane, psoriasis, eczema, and wart treatments. New "Botox in a Cream"
Leading Expert on Cosmetic Dermatology Praises New "Botox in a Cream"
MedChat featuring Charles Crutchfield MD and Susan Crutchfield-Mitch, MD This community radio program promoted dermatologic and general health care to the African-American community in the Minneapolis/St. Paul area weekly on AM radio station 95.0. The program ran both in the original editions and in reruns for almost two years. Beginning the letter “A” and going all the way through the letter “Z,” the radio program featured conditions and diseases that fell into each letter category. Crutchfield Dermatology website, by Arbor Bay Marketing, wins Gold Web Award. What is Botox & Restylane? Minnesota Twins Baseball Team Skin Cancer Screening Program Dr. Crutchfield serves as lead dermatologist in Minnesota Twins Baseball Team Skin Cancer Screening Program sponsored by the American Academy of Dermatology, summer of 2004. This was the fifth year Dr. Crutchfield participated in the program. How Do Doctor's Choose A Specialty? Dr. Crutchfield quoted in Star Tribune article "Death inspires women to battle against melanoma"